Frequent use of hairdryer, straightener, dying hair and even intensive UV rays exposure can lead to hair structure damage. Weak hair loses its shine and becomes prone to split ends and hair loss. Such problems make creating that dream hairstyle more difficult than before. Damaged and lifeless hair needs professional and complex care. Halier Fortesse collection delivers intense regeneration and strengthens hair from the inside. Using the shampoo, conditioner and serum guarantees best results. 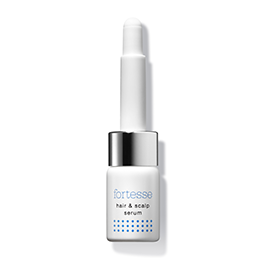 Products from Fortesse collection deliver complex care to hair prone to hair loss. Specially developed formulas of shampoo, conditioner and serum make hair bouncy, lustrous and faster growing. The products prevent split ends and excessive hair loss. The ingredients penetrate hair structure and regenerate it from the follicles to the very ends. Our products do not cause allergies or scalp irritations and make detangling easier. For optimal results it is recommended to use the shampoo, conditioner ans serum simultaneously. The products have been dermatologically tested. Everyday hair care stimulating growth. The special formula strengthens and rebuilds hair structure and prevents hair loss. It does not contain SLS or SLES. It accelerates hair growth, hinders hair loss and aids detangling. It can be used on the entire hair length. The conditioner's formula is light and does not weigh hair down. Strengthens follicles, stimulates new hair growth, protects strands from falling out and improves the scalp condition. It makes hair strong, healthy, nourished, elastic and intensely hydrated.